As the year comes to a close designers and creators turn their attention to next year’s key looks and hottest style trends. 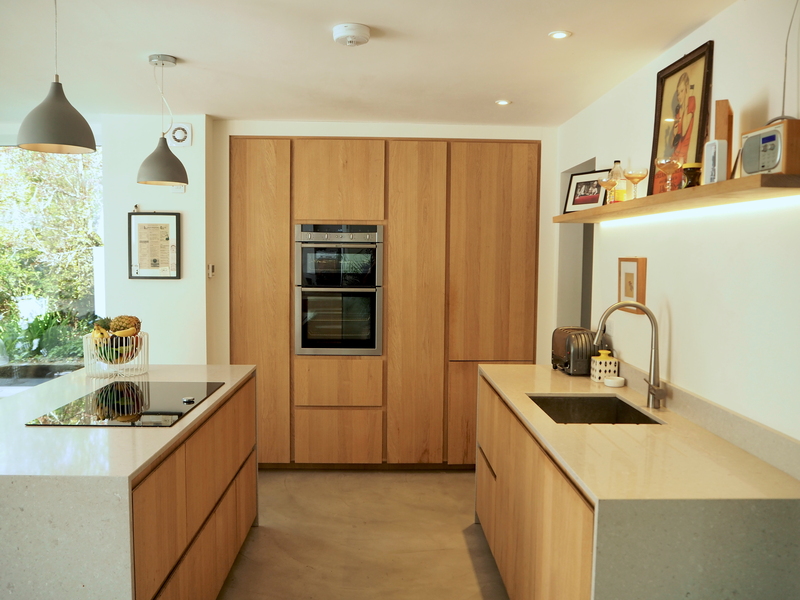 If you’re considering updating a tired kitchen or having a complete overhaul you might want to think about what’s on everyone’s design radar for 2019 and beyond. 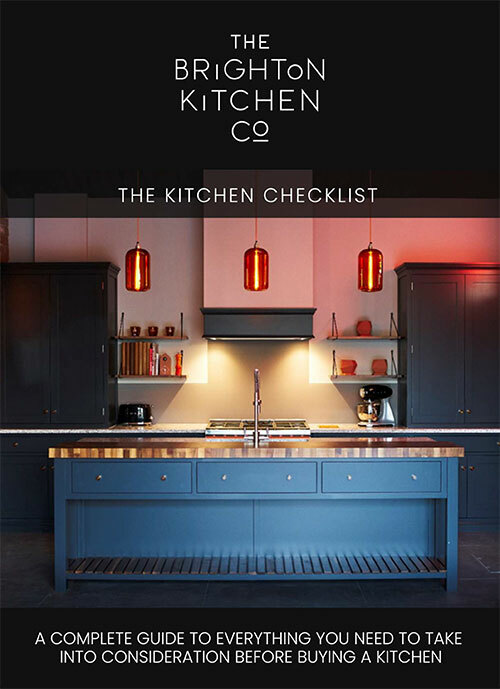 At The Brighton Kitchen Company we make kitchens that are timeless and not driven by fashion fads, but we also want to offer cutting edge designs and contemporary finishes. We keep ahead of the game, so you can too. With an increasing trend for natural accents and interiors that reflect the landscape around us, we are predicting the next big colour to be green. Think rich, deep tones like Hunter Green and Night Watch. This year we’ve seen a lot of navy and grey in kitchens, and this shows no sign of waning. But by introducing some green into your kitchen colour scheme you can be one step ahead, whilst also keeping things subtle and stylish. Green is warm and cosy but also has a lovely vintage feel, making it perfect for a contemporary kitchen that also nods to classic design. 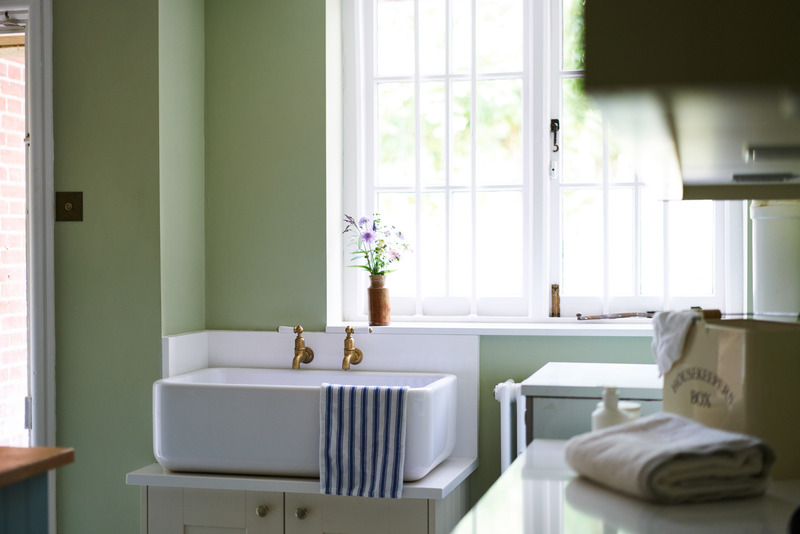 Whether painted cabinets, walls, tiles or flooring, 2019 will be the year we all go green. Increasingly, our clients are looking for a change from the whites and pale greys that have dominated interior design for the last few years. Keeping the sense of light and airiness a neutral palette offers, designers are adding pops of bold colour or being more playful with different hues. From pink fridges (with interchangeable doors in case you want to switch up the look) to colourful range cookers you can bring some personality and life to any kitchen backdrop. Splashblack tiling also offers a great opportunity to bring in colour and pattern, and we’ve seen more people mixing styles and colours to create a really interesting focal point. Two flanks of metro tiles either side of a central panel of patterned splashback tiles is something we think you’ll see in stylish kitchens in the future. Whilst there’s not space here to list all the latest kitchen wizardry, we can highlight some of the emerging trends. Hot water taps are increasingly replacing kettles as a much more chic and simple option, while wine fridges will store different wines at optimal temperatures to make sure you’re ready for any dinner party or gathering. Induction countertops are far sleeker than traditional kitchen hobs and we think these will be huge over the coming years. You can even install a wifi-enabled espresso machine which will serve you the perfect shot of coffee in the morning, for the ultimate in kitchen luxury. We have noticed a move away from detailing and edging on kitchen cabinetry. Instead, people are looking for clean, clear lines. This is also reflected in ceiling fittings like extractor fans, with a demand for slick subtle pieces like these. You can even get extractor fans that communicate with your hob to provide precision performance. A cool matte black tap makes a dramatic accent for any kitchen without being oppressive, and we think this colour will be big for fittings and cabinets next year. There will be much more blending and mixing of textures next year, with smooth surfaces contrasting with rougher, more tactile materials. The trend for organic, natural materials in kitchen design has been gathering force for a while and is set to continue to grow next year. From leather cabinet pulls to stone sinks, the latest kitchen designs are going back to nature. Expect to see a lot of jute, wood and plywood in kitchen fittings and fixtures. Continuing the mixing-up theme, broken-plan layouts are on the rise. Whilst many of us still love our open-plan living areas, sometimes we want to make a more defined space, and this trend uses freestanding shelving or bars to create different zones within a larger space. In a similar vein, furniture designs are becoming more fluid, with pieces that would look as at home in a sitting room as in a kitchen. The gorgeous patterns and tones of Moroccan interiors and architecture are going to be popular next year, from patterned wallpapers and tiles to gold detailing and lantern-style pendants. To talk through your ideas and inspiration for your new kitchen, get in touch and see how we can help incorporate the trends you like into a kitchen you’ll love.